Sr. Alice Gallin, O. S. U.
Sr. Alice Gallin, O.S.U., a native of New Rochelle was appointed interim president in July of 1993 after Fr. Neil O'Connell resigned after serving a single term. Sr. Alice graduated from the College of New Rochelle and in 1942 went back there as a faculty member. She taught European History and then became chairwoman of the history department. She was also director of public relations a the College of New Rochelle from 1963 to 1967 and was the dean of students at the same time. She has also served three terms on the College of New Rochelle board to trustees, 1965-73, 1978-84 and 1988 to 1993. 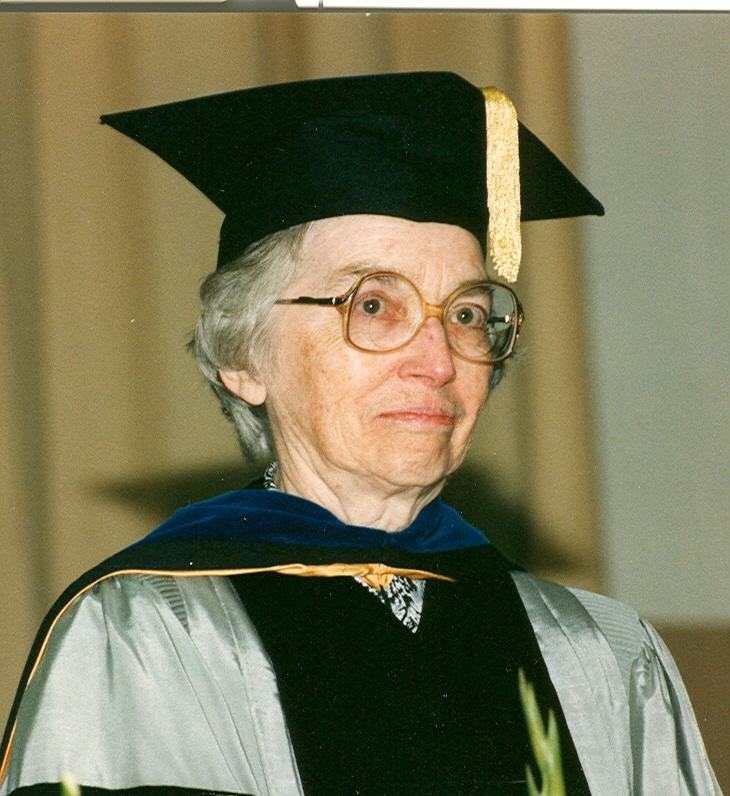 In February of 1993, Sr. Alice received the Theodore Hesburgh Award for leadership in Catholic higher education. She came out of retirement, where she had planned to write a history of Catholic higher education, to serve as St. Bonaventure's interim president. In January of 1994 she passed the presidency on to Dr. Robert Wickenheiser. Sr. Alice did go on to pursue her goal of writing a history of Catholic higher education. "New Rochelle Nun to Head University" Catholic New York 16 September 1993. St. Bonaventure University Presidents Files.